If you’re looking for reliable storage solutions at an affordable rate then you’ve come to the right place. 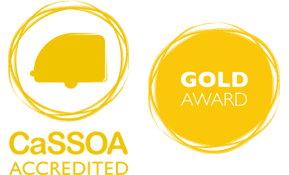 Established in 2000, we have grown into the fully-fledged provider of the highly competitive and quality self storage and vehicle storage that you are looking for, which has been recognised by the Caravan Storage Site Owners’ Association, who have awarded us with their gold award. 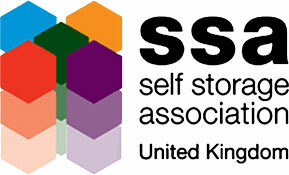 We are a proud member of the Self Storage Association UK (SSA UK), providing you with safe, flexible and affordable self storage solutions for all domestic and business storage requirements. As a family run business we strive to make you feel happy and valued. Simple things like answering the phone promptly and efficiently and making sure we do what we say; these are the building blocks of how we want you to feel about our business. There’s a saying in our office that we don’t have problems, we only have solutions – and it’s a mindset that carries through to our day-to-day operations and solving your storage needs. We really value our long term storers, so we’ve decided it’s not our game to increase their storage charges several times a year, as is often the case with competitors, but would prefer that they continue to receive a competitive rate. We hope you enjoy your storage experience with us, if we’re fortunate enough to have your business. © 2004 - 2019 Hogleaze Storage.